If your vegan and vegetarian clients have run out of ideas for making delicious plant-based meals, you’ve come to the right place. 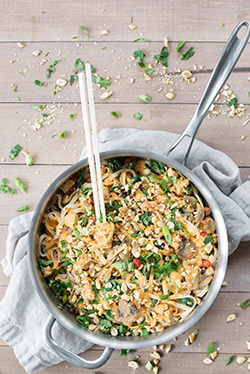 In this month’s E-News Exclusive, Today’s Dietitian (TD) discusses the many creative ways they can prepare tempeh—a fermented soy and grain food chock full of protein, vitamins, minerals, and phytochemicals—and provides flavorful recipes. 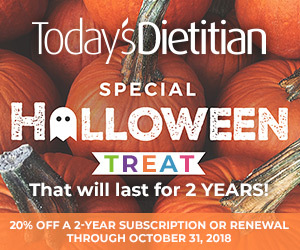 After reading the article, visit TD’s website at www.TodaysDietitian.com to read the digital edition of the October issue, which includes articles on the power of plant-based diets, benefits of eating local fish, the new landmark cancer prevention report, and whether multivitamins can prevent chronic disease. Please enjoy the E-Newsletter and give us your feedback at TDeditor@gvpub.com, and don’t forget to like us on Facebook and follow us on Twitter. The staff of TD was thrilled to see familiar and new faces at the Food & Nutrition Conference & Expo™ in Washington, D.C. We look forward to seeing you next year in Philadelphia. From tempeh bacon to tempeh bowls, this traditional plant-based protein is basking in newfound appreciation thanks to today’s rising interest in plant-based eating. You can find tempeh in most supermarkets and even some restaurants across the country. Tempeh is a traditional, fermented Indonesian soy and grain food that comes in a neatly pressed block, perfect for slicing into dishes as a meat replacement. It has a tangy (thanks to fermentation), mild, nutty taste and firm texture. Tempeh is an excellent addition to stir-fries, casseroles, stews, pizza, sandwiches, wraps, and pasta dishes. It’s especially good in a dish that has a vibrant sauce, where it can absorb the flavors of the recipe. You also can marinate and roast or grill tempeh into a delicious entrée all its own, which can then be sliced into sandwiches, salads, bowls, or wraps. More food companies are creating excellent tempeh products, such as tempeh bacon, seasoned tempeh, and tempeh-based entrées. Made of whole, real plant foods (soy and grains), tempeh is nutrient rich and should be an important part of a well-planned plant-based diet, from a flexitarian diet to a vegan diet. One of the beauties of tempeh is its nutritional profile: One 1/2-cup serving has 160 kcal, 15 g protein, and 9 g total fat, not to mention vitamins, minerals, fiber, phytochemicals, and live, active cultures due to fermentation. In fact, tempeh is “real” enough that you could make it at home. But if one doesn’t want to go to all that trouble, tempeh can be found in most supermarkets in the refrigerated case near tofu. In patients with chronic kidney disease, MNT can slow the progression and significantly reduce health care costs. But 90% of nondialysis kidney disease patients never meet with a dietitian, according to a report in the Journal of the Academy of Nutrition and Dietetics. The lead author is Holly Kramer, MD, MPH, of Loyola Medicine and Loyola University Chicago Stritch School of Medicine. “Most adults with chronic kidney disease remain poorly informed of how diet influences disease management and progression,” Kramer and colleagues wrote. About 30 million Americans—or 15% of adults—have chronic kidney disease, and the incidence is expected to increase in the next 20 years due to the obesity epidemic and aging population. Nearly one-half of adults aged 65 and older are expected to develop kidney disease during their lifetime. Medicare spends $33 billion per year on dialysis patients, and costs for nondialysis kidney patients are higher than the costs of treating stroke or cancer. Learn about nutritional supplement use and male athletes in this month’s issue of Today’s Dietitian. Read the CPE Monthly article, take the 10-question online test at CE.TodaysDietitian.com, and earn two CEUs! Now through Wednesday, October 31, save $10 on CE Club Memberships! Join for only $40 when you apply coupon code SPOOKY18 to your order. 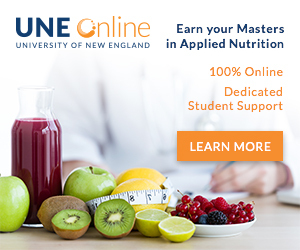 CE Club Members enjoy 50% off of our course library, PLUS a year’s subscription or renewal to the Today’s Dietitian magazine. CE Club Membership discount excludes books, book exams, multi-part courses, and Becky Dorner Programs. Click here for Membership details. Get 10% off throughout the month of October on all self-study courses, recorded webinars, and multi-credit packages. Just choose your CE items from our CE Learning Library, place them in your cart and use the coupon code OCT1018 to receive your discount. This offer does NOT apply to books or CE Club Memberships. 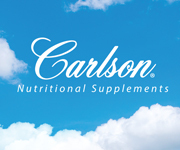 RDs who have achieved a high standard of excellence as a nutrition professional. A new estimate predicts obesity will overtake smoking as the leading cause of cancer among women in the United Kingdom by 2043 if current trends continue, according to CNN. FoodNavigator-USA reports on survey results from the International Food Information Council regarding parents’ views of what foods are healthful for their children, as well as their concerns about transitions between feeding stages. Slow cooking provides opportunities to save time, improves the odds of a healthful meal being served, and promotes higher vegetable intake in both children and adults. Creating slow cooker meals is a great way to help novice cooks become more comfortable in the kitchen, and busy parents can benefit from using a slow cooker to easily get healthful homemade meals on the dinner table. With the use of a slow cooker, clients can quickly prepare a meal the night before (or morning of) and are able to eat as soon as their family returns home. It’s as simple as pushing a button. Coming up in our November issue is our Diabetes Showcase. 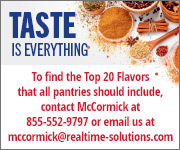 Email a sales representative to be part of this unique advertising opportunity.